Bay Area bike sharing pilot program begins soon. Bay Area bike share program launches Aug. 29. Need a bike? Come Aug. 29, you got a bike -- provided you are willing to share. The Bay Area Bike Share pilot program goes live with 700 bikes at 70 stations in five cities, according to the Environment News Service. 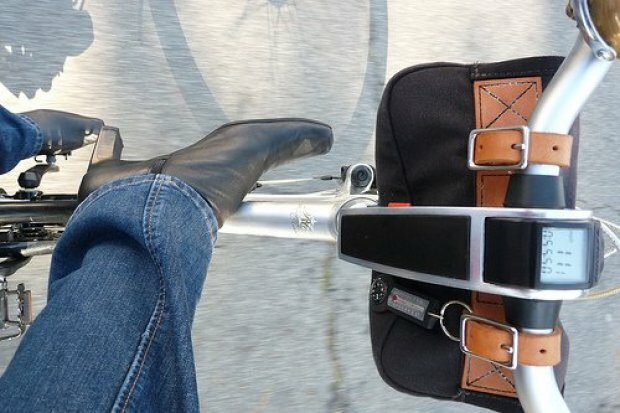 Bicyclists in San Francisco, San Jose, Palo Alto, Redwood City and Mountain View will be able to grab bikes from kiosks -- and of course, using the smartphone is key, according to the ENS. Customers -- who will pay $88 for an annual pass, $22 for a three-day pass, or $9 for a daily pass -- will be able to use an app to find bikes and bike dock availability "at any time," according to reports. Memberships are being sold at www.bayareabikeshare.com. The $11.2 million project is funded mostly through air quality fund money. The pilot will build gradually to 1,000 bikes by next year.